Benito Juárez (1806 – 1872) was the first and only indigenous President of Mexico. Known as the builder of modern Mexico, he was committed to restoring the rights of his nation’s indigenous populations. 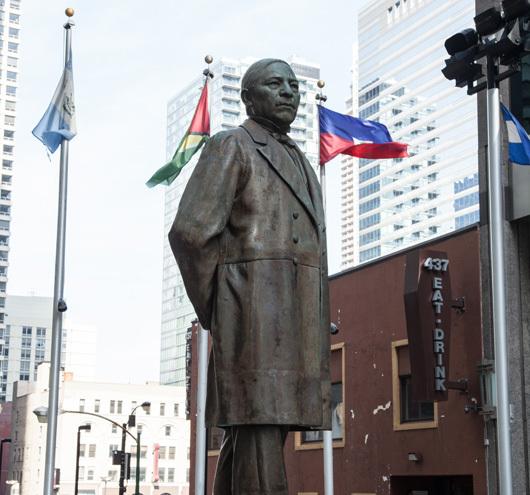 The Benito Juárez statue stands in a plaza that honors the Latin American cultures represented in Chicago. Today there are towns, schools and roadways throughout the world named in honor of Juárez. For more about artworks in Chicago’s parks, click here.